In addition to guest posting on the UpCity blog, Design Extensions is featured as one of the Top Digital Marketing Agencies in Jacksonville. Check out their profile here. 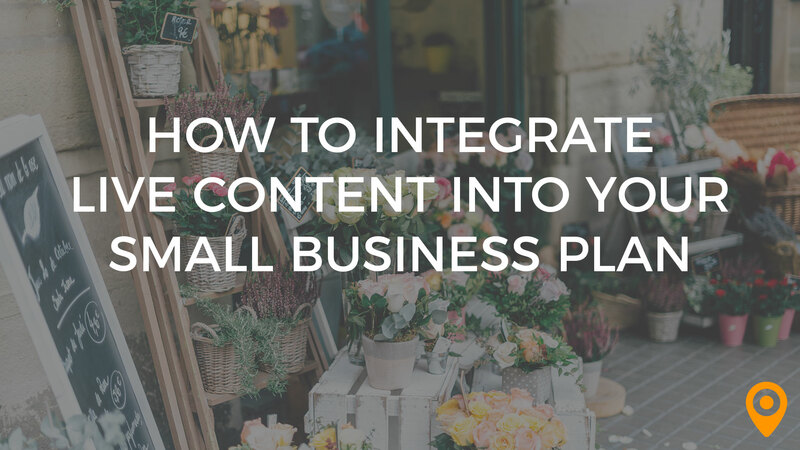 Creating content is a major issue for many people. Understanding how you can creative massive amounts of content from a single piece of content (content multiplication) is key. In the post, I’ll explain how a single live talk can be turned into 10+ pieces of valuable content that will help with social media and search engine optimization. 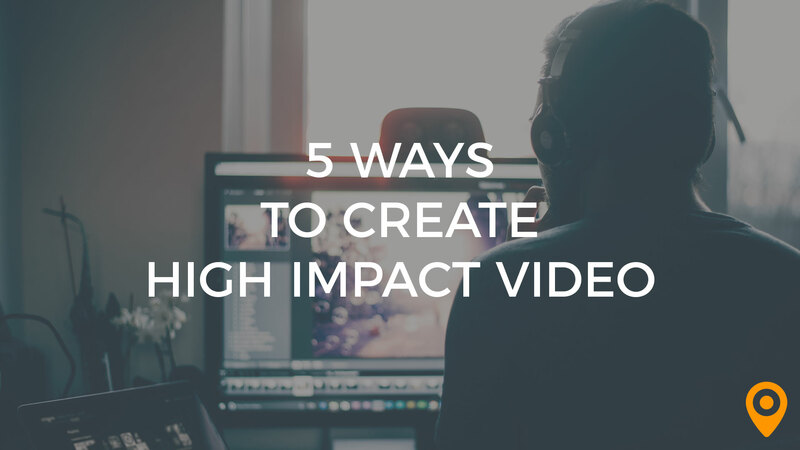 The key starting element of your content should be a video. 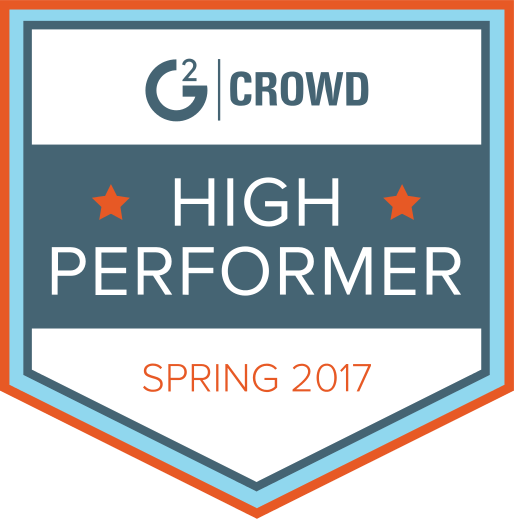 If you already have one in mind, like a live talk or a great interview, then you’ve got a great head start. But, let’s say that you don’t. Start by shooting a short 3-5 minute video of you or another spokesperson talking about a topic that your followers are passionate about. That unedited video will be your starting point. 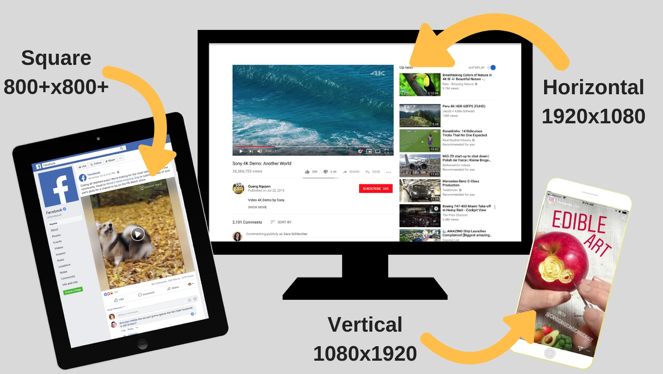 Note: You should shoot your video in horizontal (landscape) format, but keep in mind that you’ll later be cropping the video into square and vertical formats, so you’ll want to position your spokesperson with that in mind. Next, you’ll need a transcript of your video. You can transcribe the video manually, but I recommend using a transcription service like Rev.com to save you time. You’ll use that transcription to add video captions, create quote cards, repurpose for longer text posts, and maybe even use for blog posts. 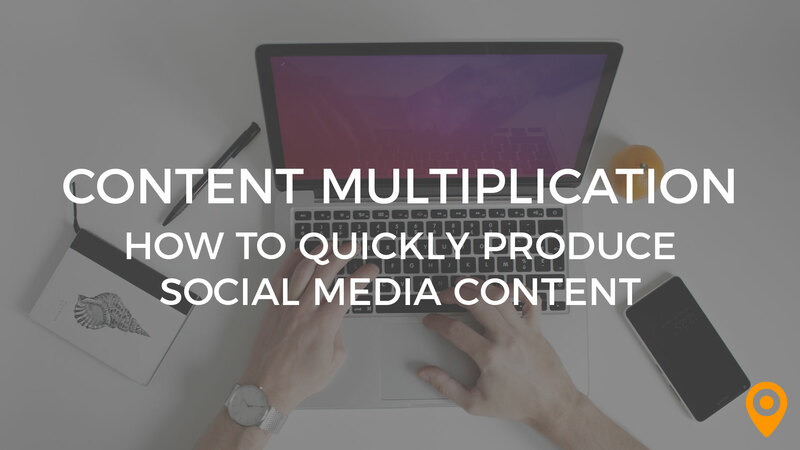 Now, here’s where the content multiplication magic really starts. 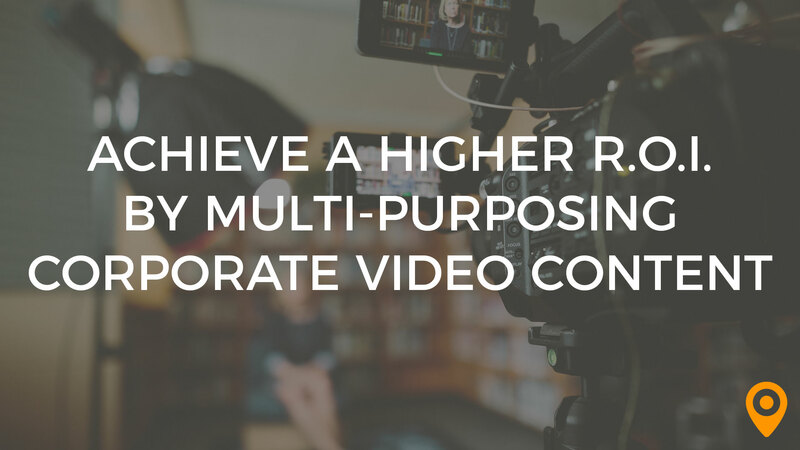 You’ll need to edit your video into multiple versions that fit the ideal size and dimensions for each social media platform. YouTube still runs on the traditional landscape format, so save a version with the dimensions of 1920×1080. For Facebook and Instagram, the square video is king. In a case study, square videos resulted in up to 30-35% higher video views and an 80-100% increase in engagement. Instagram TV is in its own category, since it will only accept vertical videos. You’ll need to crop one version of your video into 1080×1920 vertical format. Keep in mind that Instagram TV’s time limit caps out at 10 minutes. This illustration demonstrates the size of video graphics on Facebook, Instagram stories, and YouTube. Tools: If you need to edit your videos in a hurry, or you’re on a shoestring budget, you can quickly crop and export your video in multiple sizes using the InShot app. Once your videos are finalized, it’s time to take a look back through your video transcript and identify a few really solid sound bites. These should be short, impactful statements. After you’ve identified at least two heavy-hitters, you’ll take those quotes and create text graphics using those quotes. You can overlay the quotes over a headshot of your speaker (preferred), or you can simply put them on a background that fits with your design colors. Tools: If you want to create quick graphics, a tool like Canva or Adobe Spark can streamline the process. With all this content to keep track of, it’s easy to get disorganized. Once you’ve created all your videos and image files, make sure you’re storing them in labeled folders where you can quickly identify which video is for what platform and which pieces have already been published. Ok, you’re organized now. What’s next? Well, you can’t just dump all of your beautiful content on your followers all at once. Now, you’ll create a schedule. You can do this with a Google Calendar, or an Excel Spreadsheet. To ensure that your followers don’t tune out, stagger your posts at least a week apart (longer if you can). Bonus Points: If you want to create even more traffic to your social media pages, you can direct followers to YouTube for the full video when posting on your other social media channels. And there you have it! You’ve just taken a single, short video and turned it into over two months worth of weekly content. Now, imagine that you create two, five, or ten short videos… Suddenly, your social media content calendar doesn’t seem so daunting. Sara is a digital media specialist with experience in social media management and marketing, web content strategy, crisis management, reputation management and more. 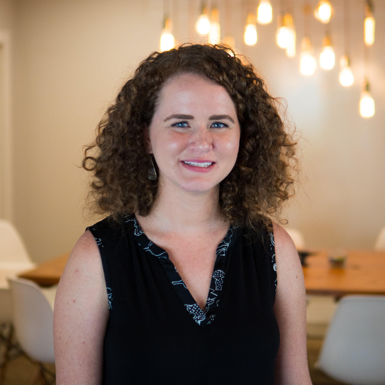 She loves helping businesses and organizations harness their digital media and use it as a megaphone to share their unique stories.